Based in Washington, DC, NMHC is a national association representing the interests of the larger and most prominent apartment firms in the U.S. NMHC's members are the principal officers of firms engaged in all aspects of the apartment industry, including ownership, development, management, and financing. Nearly one-third of American households rent, and over 14 percent of households live in a rental apartment (buildings with five or more units). With its joint legislative partner, the National Apartment Association, NMHC serves as the apartment industry’s primary advocate on legislative and regulatory matters. The Council also conducts apartment-related research, produces strategic information on business-related issues, and promotes the desirability of apartment living. For more information on NMHC, please visit their website. The Metropolitan Planning Commission is required to adopt a general plan for the physical development of Nashville and Davidson County. The MPC is charged with approving, approving with conditions, or disapproving subdivision requests. The Commission receives a recommendation from its staff, holds a public hearing and then makes a decision. The Planning Commission operates in an advisory role to the Metropolitan Council on zoning change requests. Other duties include recommending changes, as needed, to the text of the zoning ordinance and subdivision regulations, preparing the Capital Improvements Budget, and employing an Executive Director to direct the Metro Planning Department staff and carry out the work program of the Planning Commission. For more information on the Commission, please visit their website. The Nashville Area Metropolitan Planning Organization (MPO) facilitates strategic planning for the region's multi-modal transportation system by serving as a forum for collaboration among local communities and state leaders. The vision of the MPO is to develop policies and programs that direct public funds to transportation projects that increase access to opportunity and prosperity, while promoting the health and wellness of Middle Tennesseans and the environment. Promotes the Ten Principles of The Plan of Nashville. Provides professional staff and highly qualified design interns to consult on civic and other community development projects. 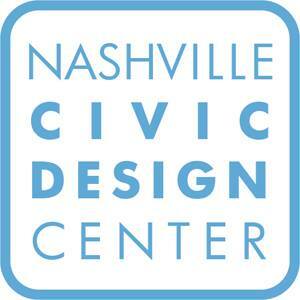 Facilitates public dialogue about civic design and its impact in Nashville. Researches and publishes reports on various civic design issues. The ULI Building Healthy Places Initiative will build on that work with a multifaceted program—including research and publications, convenings, and advisory activities—to leverage the power of the Institute’s global networks to shape projects and places in ways that improve the health of people and communities. Nashville has never been more vibrant than it is today and the energy of the city continues to grow along with its population, its attractions, and its reputation as the South’s most fun-filled and hospitable “It” city. With 21 colleges and universities in the area (including the nation’s number one graduate school of education), a music scene second to none, acres of parks and greenways in all areas of the city, fabulous restaurants featuring all cuisines, and unique neighborhoods, Nashville is an outstanding place to live and work. While Nashville offers a warm and welcoming embrace for all who wish to call it home, the city holds in its heart a special place for educators. In addition to the unwavering support from the Office of Mayor Megan Barry, community organizations like Alignment Nashville, PENCIL, and the Nashville Public Education Foundation help hundreds of businesses, congregations, nonprofits, and other organizations find meaningful ways to serve Metro Nashville Public Schools, with each fulfilling a unique role in supporting educators, empowering families, uplifting schools, and inspiring students.